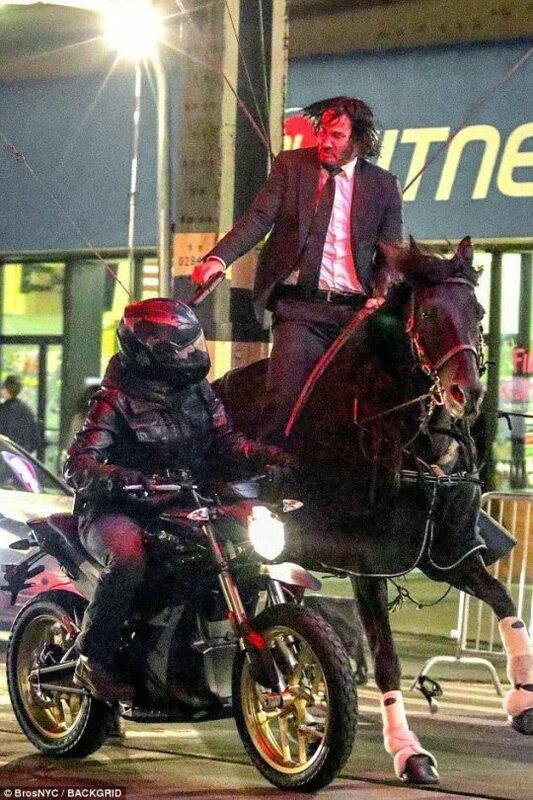 Since we're all subliterate morons at this point who can barely communicate via any means other than images, allow me to offer up some analysis of last night's primary races in Florida and Arizona via the best new meme: Keanu Reeves Shooting A Guy In The Head While Riding A Horse. Inarguably the most important race of the night—at least as far as control of the United States Senate is concerned—former Air Force colonel and all-around American hero Martha McSally handily defeated Kelli Ward (who suggested on social media that John McCain chose his time of death specifically to spite her and campaigned with extremist far-right, ah, individuals like Mike Cernovich) and Joe Arpaio (a sadistic bigot who was pardoned by Donald Trump for his various crimes). An Arpaio or Ward win would've likely handed the seat to Democrat Kyrsten Sinema. The GOP seems to stand a better chance of holding on to the seat (and, as a result, the Senate) now, but it's still going to be a tight race in a bad year for Republicans. The biggest surprise of the night was Andrew Gillum's win in Florida's Democratic primary for governor. As the Free Beacon‘s own Todd Shepherd has noted, Gillum's campaign stayed afloat thanks to cash infusions from George Soros and Tom Steyer, two of the richest men on the planet. I guess we can retire the idea that billionaires meddling in political races in order to get people elected who will do their bidding is bad, huh? In one of the more amusing stories of the night, noted jackass Alan Grayson lost his bid to recapture his old House seat. As Amber Phillips highlighted at the Washington Post, Grayson had run explicitly on an IMPEACH TRUMP platform. Establishment Dems are trying to stay far, far away from this, worried that an explicitly anti-Trump midterm would turn out the president's fiercely supportive base. But the simple fact of the matter, as my boss and mentor Matt Continetti has written, is that the Democrats really have no agenda other than "impeach Trump." That's basically all they can do while controlling the House and the House alone.